Originally released in 2005, Shadow of the Colossus went on to become one of the most beloved PlayStation 2 games of all time. It had a particular style that was unlike other games at the time, and it pushed the PS2 to its technical limits. 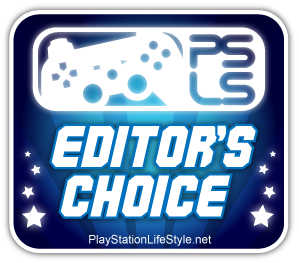 Of course, a PS3 remaster would quickly follow, improving the visuals and bringing the game to a whole new audience. Once again, Shadow of the Colossus is making an impact, this time on the PlayStation 4. Far from a simple remaster that smooths out textures, Shadow of the Colossus PS4 is a full rebuild of the classic game. Bluepoint Games may not be a high profile studio making brand new triple-A games, but they’ve been the name behind some of the most notable remasters in Sony’s library. God of War Collection, Uncharted: The Nathan Drake Collection, and Metal Gear Solid HD Collection were all headed up by the studio best known for taking nostalgia and making it reality. Even the original Ico & Shadow of the Colossus Collection on PS3 was headed up by Bluepoint, so they already had a history with Fumito Ueda’s game before this massive PS4 undertaking. Having a history with something is important when it comes to capturing nostalgia and getting it right. Bluepoint had the colossal responsibility of making Shadow of the Colossus PS4 look and feel right at home on the current generation of hardware, yet at the same time elicit the feelings of the original game. They succeeded. Their remake is definitively Shadow of the Colossus, a game that came out more than 12 years ago, yet with the PS4 release it feels like not a day has passed. I marveled at every single moment. That feeling of awe never went away, even through the defeat of the final colossus. “This,” I thought, “is what Shadow of the Colossus truly is.” Twelve years later and felling any one of the colossi still felt like a monumental and celebrated achievement. And it’s true. Never have I been more enamored with Shadow of the Colossus as in 2018. Never have I understood this game as well as I was able to while playing the PS4 release. I think that both the game and I have done a lot of maturing since 2005, and yet it’s amazing to see how ahead of its time Shadow of the Colossus was. It’s like Bluepoint reached into my memories and extracted what I remember the original game to be. Watching old videos of the original PS2 release–and even the PS3 remaster–it’s hard to look back and imagine Shadow of the Colossus being anything other than the incredibly detailed and gorgeous world that was painstakingly recreated from the ground up. No rock, tree, or colossus feels out of place. There’s a clear respect for the source material. Bluepoint had no intention of making this their own, yet they’ve managed to create something wholly new from the ground up with brand new assets, technical artistry, and a respect for the conveniences of modern games (Autosaves in Shadow of the Colossus? Yes, please!). They somehow channeled the development team of twelve years prior to make Shadow of the Colossus as if it had been envisioned and created today. In an adventure that is grand, vast, and towering, it’s all the little details that really get me. It’s the way the ripples move across the top of the water. It’s the way that light streaks through the thickets of trees. 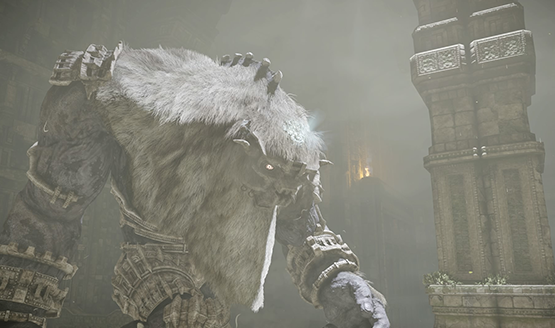 It’s the way that the fur on each colossus is caught in the wind of its movement. Bluepoint could have found it all too easy to phone this one in, but there’s a clear care and passion that went into every detail and decision that they made. Any changes or upgrades that were made all feel in spirit of the original, no matter how big or small. The reworked HUD system is more user friendly and allows additional customization, eschewing that massive circle that grew to cover the screen as Wander’s strength grew in the original. Tweaks have been made to the horseback riding, the jumping, and the camera; every one looking to correct some of the criticisms about the first, but also in line with the original vision for the game. None of the small quality of life updates ever jump out and scream, “this isn’t Shadow of the Colossus!” Instead, they feel like smoothing over the rough edges and polishing up the original game to be the best that it can be. Honestly, the way Bluepoint executed most of them, they’re hardly noticeable at all. They effectively blend in with the rest of the game, and if it’s been a while since you played, you may not consciously notice that anything has changed at all. As much as has been updated, however, there are still some sticking points. The camera can get unwieldy at times, and while I found it far and away better than the original, there were still moments when it would swing in an unfavorable direction. Climbing on the colossi’s fur can also be unpredictable as they try to throw Wander off of their backs. Pressing up on the analog stick may not be the direction that is “up” in the game, due to Wander being tossed around and ragdolling while hanging on. More than once Wander moved in the wrong direction, climbing off the side of a ledge instead of farther along the fur. The argument could be made that it realistically recreates the disorientation Wander might feel when being tossed around. It really depended on my mood on whether it was frustrating or added to the challenge. The horse mechanics also still frustrate. Agro might be easier to mount, and pathfinding through narrow passages is a lot more guided than it was on the PS2, but Dormin help you if you get stuck in a corner. Ride aggressively too close to a rock, wall, or other object and Agro will lurch in an opposite direction. Anytime I got Agro into weird spots, I would usually just dismount and begin running in the right direction before calling him again. 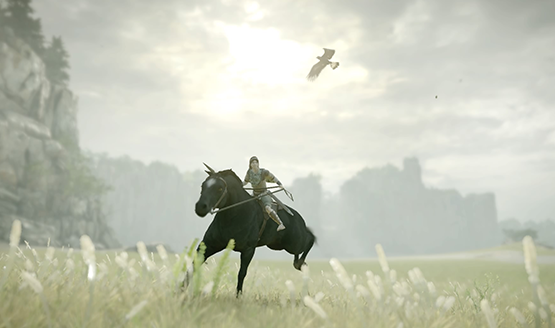 Again, the argument could be made that you are controlling Wander, who is controlling the horse, so it’s realistic that Agro might be tough to control. Nine times out of ten, getting Agro into a weird corner was my own fault for not paying attention anyway, either trying to get a perfect photo mode snap, or marveling at the graphics, textures, landscape, and everything but where I should be headed. I know that I previously talked about the awkward controls as recently as my hands-on demo at PSX 2017. It was something that the original suffered from, and I worried that the remake would too. The full game feels like they may have tightened things up just a few frames. It still feels like a Fumito Ueda game, but it also doesn’t feel like there is a significant delay between what my hands press on the controller and what my character does. The reworked control scheme does have a lot to do with that, but you can jump back to the original controls at any time if you wish. If you’ve never scaled a colossus before, you might have no idea what I just spent hundreds of words rambling on about. Shadow of the Colossus is effectively 16 boss battles, and those 16 boss battles are huge set-piece puzzles that pit players against massive stone beasts. There are no other enemies to fight, and the game consists of tracking down each location, and then figuring out just how to reach the weak points and defeat each stone Goliath. Wander is tasked with doing this by an unseen entity in order to breathe life back into Mono. 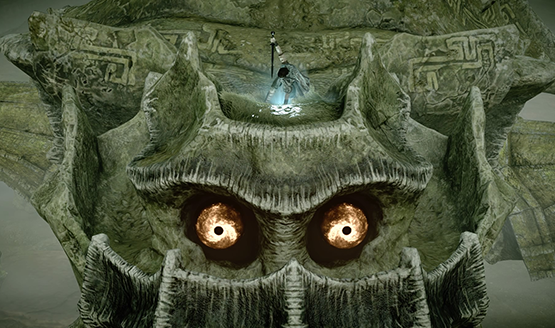 Her body waits in the game’s main hub area as a reminder of why you are pressing forward, despite each colossus kill seeming to afflict Wander with a darkness. 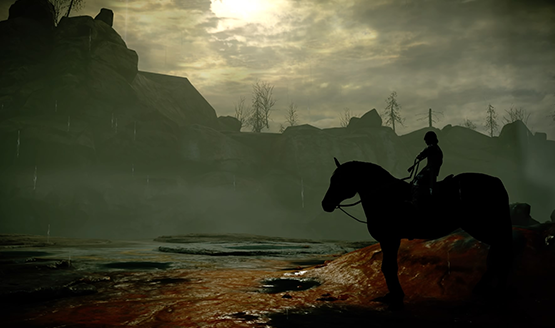 The only other character that Wander comes into contact with throughout the gameplay is Agro, his horse. Without words ever spoken, or long scenes to establish their relationship, I felt extremely close to that horse as the only other ally I had. Agro accompanied me to each of the 16 colossi, sometimes even being necessary for me to take them on. There’s a magic in that unspoken story and relationship that builds over the course of the game, and many of my photo mode captures centered on the bond between Wander and Agro. Speaking of photo mode, there’s a photo mode! I’ve said it before, and I will say it again: photo mode is one of the best additions to this generation of games. Shadow of the Colossus’s photo mode, while great, is not the best execution that I’ve seen. There a number of improvements I would like to see made to it, looking to Horizon: Zero Dawn specifically as one of the pinnacles of great photo modes in games. Specifically, the depth of field filter is more convoluted than it needs to be, and while it can result in more dynamic pictures, I worry that its complicated nature may scare people off instead of making it easy and fun. I’m sure that many of the other limitations–like a very tight camera tether–have to do with the specific streaming tech that Bluepoint used, and it does allow you to get an up close look at the beauty and detail that Bluepoint put into the game, so I can’t criticize it too much. Hopefully this is one area that gets an update, because Shadow of the Colossus on PS4 is deserving of the very best photo mode that the PS4 can offer. Shadow of the Colossus PS4 Remake review code provided by publisher. Version 1.00 reviewed on Standard PS4. For more information on scoring, please read our Review Policy.